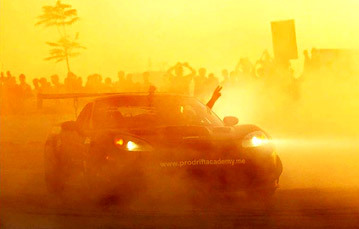 DO THE PRODRIFT ACADEMY SUPPLY THE CARS? 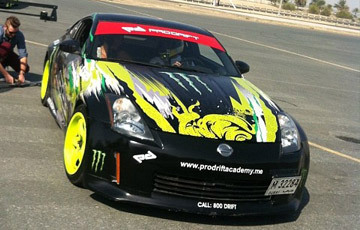 Yes, the Prodrift Academy supplies all cars, tyres, fuel, instructors etc. Yes, all students will rotate between our drift cars. DO I NEED A VALID DRIVERS LICENCE? No, our mains venue, Birmingham Wheels, will not require you to hold a valid drivers license, however our other working venues, Teesside Autodrome & Brands Hatch, do. DO I HAVE TO BE ABLE TO OPERATE A MANUAL GEARBOX? No, Some of our training cars have dual control pedals however, all our Professional Competition category cars are fitted with a manual gearbox and will require the use of a clutch. We have a £10 million Liability Insurance package in place. All pupils & passengers must sign a disclaimer prior to getting into our drift cars. CAN I BRING ALONG GUESTS ON THE DAY? Yes, 3 is the maximum per person attending the academy. Yes, gift vouchers are available through our head office. Please refer to your course timetable and arrive in time for sign on. CAN I LEARN TO DRIFT IN MY OWN CAR? 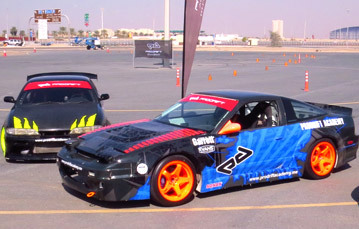 Yes, we operate at different venues, you can learn to drift in your own car if you choose to.